In recent years, building an environmentally friendly home or updating an existing home to be more energy efficient has become much more mainstream. While building an entirely green residence isn’t always fiscally possible, simple eco-friendly building techniques and upgrades will ultimately lower your water and electricity bills. These green home improvements will save you money in the long run, while also saving the planet. The following are some of the easiest ways to lower your carbon footprint when building or updating a home. Smaller homes naturally have a lower impact on the environment. There is less square footage to cool and heat, which keeps energy consumption down. However, this doesn’t mean that you need to give up your dream home. Instead, create an ideal floor plan with usable space, and downsize rooms you know you will not use on a daily — or even weekly — basis. When building a home or updating an existing home, use Energy Star-labeled windows. This important label means that the Environmental Protection Agency (EPA) has deemed them as energy efficient. The money saved on future heating and cooling bills often more than make up for the initial cost differential. Like windows, certain appliances are also Energy Star-labeled. Energy Star appliances conserve energy, without sacrificing performance. Everything from a single light bulb to a geothermal heat pump can come with this important, government-approved label. Heating and cooling typically accounts for approximately half of a home’s energy consumption, and this energy usage is often wasted due to poor insulation. Start by making sure there are no drafts by windows and doors. This is one of the easiest things you can do to reduce your carbon footprint and the price of your monthly bills. 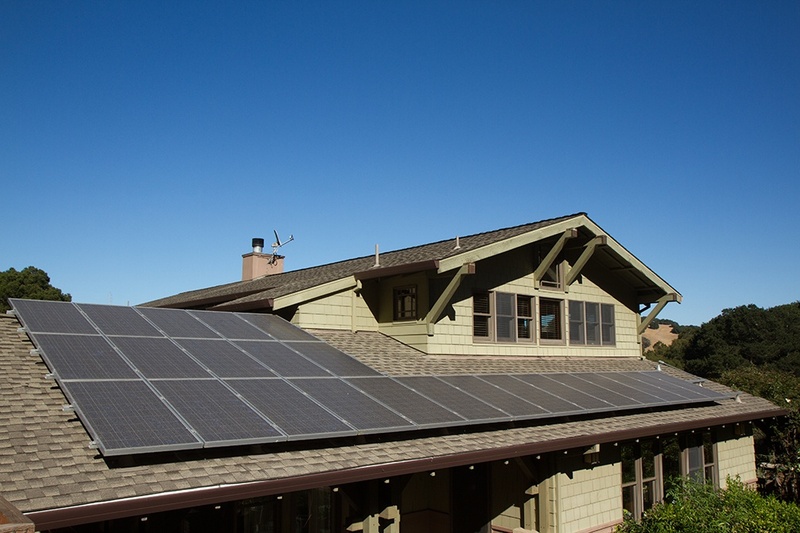 Solar energy is both clean and renewable, and solar panels are the perfect way to harness this remarkable form of energy. While the initial cost of installation can seem high, the money saved in the long term is extraordinary. Plus, there are often tax breaks and other monetary incentives. When building a new home, consult with a knowledgeable architect about positioning the property and the solar panels for maximum sun exposure. Sustainable building materials can be utilized throughout the entire building process. When picking out wood for the frame of the home, use a supplier who practices an environmentally friendly planting and harvesting process. Once in the design phase, consider bamboo and/or cork flooring. They are both eco-friendly and trendy. There are numerous ways to cut back on water usage. To start, install low-flow aerators on toilets and shower heads, invest in a tankless water heater and only use an Energy Star-rated washing machine. Next, capture rainwater on your property in a cistern or barrel. This water can be used for landscaping and irrigation. Creating a green home doesn’t have to be complicated. Simple updates and a bit of forethought can drastically reduce monthly bills, while simultaneously reducing fossil-fuel emissions.